Claire Li wrote an interesting article on the translation of roads in Shanghai in That’s Shanghai. If “Central Tibet Road” on the road sign is correct, why is “Xizang Road middle” also used for the same street? He/she also mentioned that a committee of 26 experts has been formed. It is great. If they have time, they should at least take a look at the typos in Metro Stations first. To get ready for an international city, more initiatives like this are needed. Since the name roads have already been named inconsistantly, and the philosophy of this site is to help, not to complain, I am offering you this cheatsheet so you can still find your way in the complicated naming systems. While most of the roads are translated to English using Pinyin, there are some English translation for some places and roads. For example, Xizang is translated as Tibet. 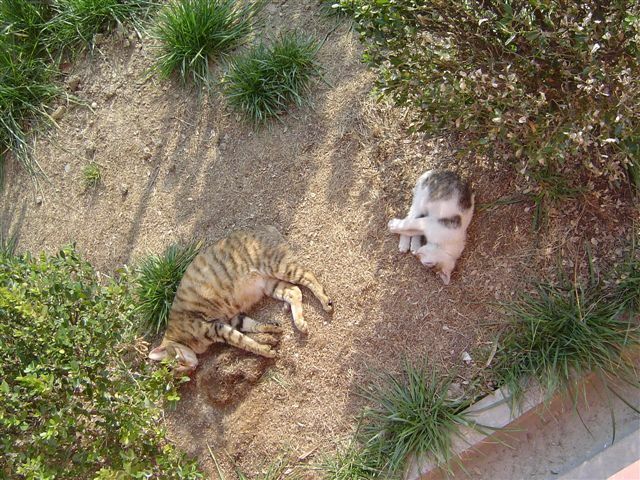 So both appear. Renmin Square and People’s Square may be both used. Pay attention to this. The easiest way to avoid the confusing translation is, to learn some Chinese and always read the road names as a Chinese does. No matter how confusing the English road names are, the Chinese name for the roads are unique. For example, just ask for Fu Xing Dong Lu (Fu Xing East Road, remember the translation formulas?) so local people can easily understand and help you. Good luck and don’t get lost in the big Shanghai maze. I was interviewed by my favorite magazine in Shanghai. We had a great conversation. I cannot disclose the name or the reporter of the magazine at this time, before the article is published, but it will be very interesting after it goes out. 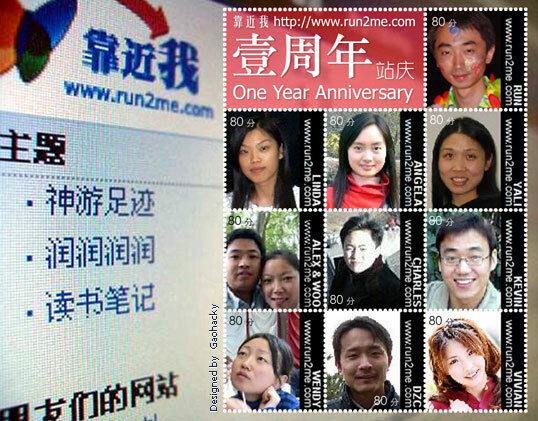 The participator should be a frequently reader of this site (Wangjianshuo’s Blog). How frequent is frequent? If you think you are, you are. The participator must live in Shanghai (relocated, visiting, or permanent residents, etc). The baseline is, you are in Shanghai when the interview is conducted. I am sorry that many very nice readers do not meet this rule. But this interview is conducted in Shanghai. The reporter wants to discover how people (with an expat focus) in Shanghai use websites to survive in this city and improve their lives. My site was chosen as a good example. I’d like to take the chance to hear some voices from my readers too. The reporter is very professional and his questions are very interesting. If you want to share some comments, and (maybe) be mentioned on a very good magazine in Shanghai, please enter your name, your day-time phone number, email address and a very short (optional) description about yourself in the form. All the information you entered will be directly mailed to me and the reporter. I don’t keep the information on the server so it will be used for the interview proposes only. The enrollment closes at 23:00, Dec 10, 2004, Shanghai Local Time. The total cost is only 880 RMB or 106 USD. He mentioned interesting technical details about satellite. He also mentioned the legal risk he takes to install a satellite TV receiving in China. 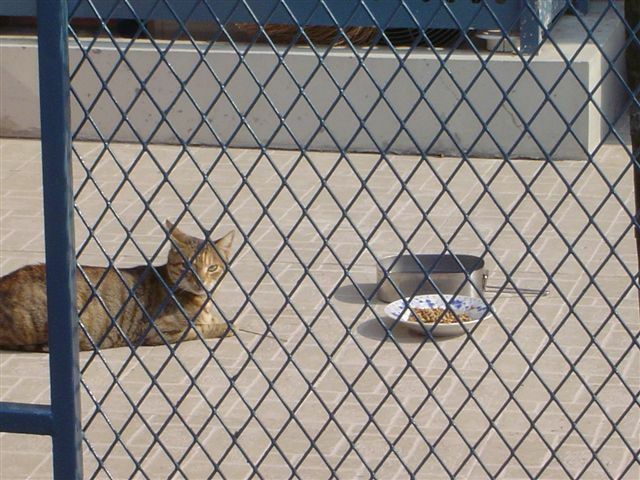 I covered it in this article: Satellite Dishes Still Forbidden in China. He can receive 100 channels from 2 satellites now. © Edward Wang. Used with permission. Read on for more details in his blog. 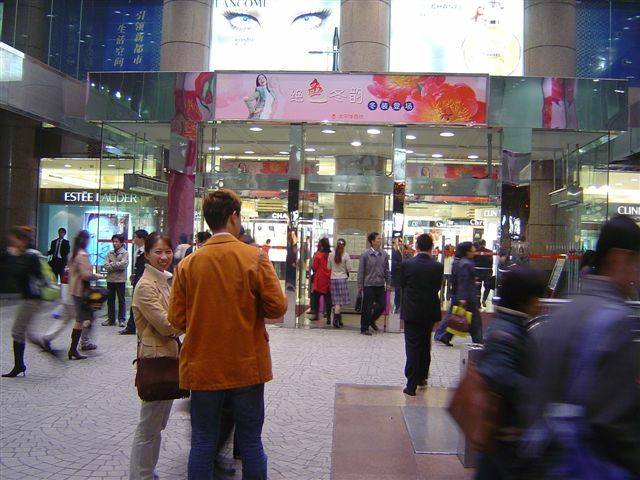 On the Zi Zhong Road, there are three newly opened shops. Very interesting shops! 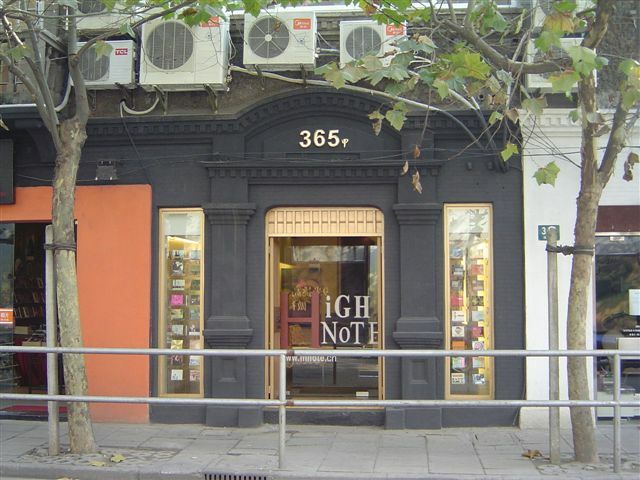 Highnote only sells DJ music. There is a nice audio room inside. 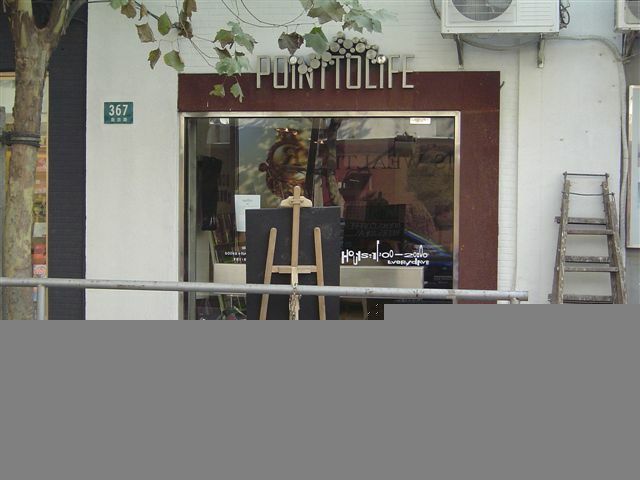 Pointtolife was opened by a Hong Kong architect. It sells design books only and serves coffee. Nice place to visit. I don’t see many customers there and I believe the owner doesn’t care about revenue. It seems the shop only opens for fun. The easist way to get an idea of the weather of a city is to check the picture of what people wear outdoors. Here you are. The picture was taken before the Pacific Department Store in Hai Hai Road. Taken from the north toward south. I wrote to my friend Mike in New York and asked him about his top 10 places to see in NYC. Mike replied quickly with his top 10 list of New York City. I found it a very good guide for first time visitors to New York. After checking Mike for permission, I am posting his suggestions here. It may be helpful for other visitors. It may inspire many readers to make their own top 10 list about New York, or their own cities. (1) Statue of Liberty – most touristy place for out-of-town tourists; a lot of New Yorkers have never visited. (2) Time Square – crowded, not very far from the MS New York office; there is a place to buy half-priced ticket for Broadway shows for the same night. (3) The Metropolitan Museum of Art – one of top art museums of the world; takes more than one day to finish; a stroll in the Central Park afterwards is highly recommended. (4) Rockefeller Center – largest Christmas tree in the world (so claimed); NBC TV studio and store are there. (5) Chinatown – very crowded, good Cantonese or Sichuan restaurants; next to Little Italy with good Italian food. (6) The New York Stock Exchange – the center of Capitalism. Wall Street and Ground Zero are nearby too. (7) The Empire State Building – tallest building after 9/11 with observation deck on top. (8) Brooklyn Bridge – You can walk on the bridge and have a good view of the East River. The bridge was the tallest structure in the world when it was built late 19 century. (9) Big Apple Bus Tour – a city-wide bus tour you can hop on and off at many points; good and quick way to see different parts of the city. (10) Fifth Avenue – Christmas shopping (or just window shopping) for fashion; downtown West Broadway has more upscale fashion boutiques (places where you can shop for your wife but things can be a bit expensive that you will be secretly happy that she does not come along). I think you should at least go to one good restaurant for Western cuisine and a French bakery for pastry. There are too many good choices to list. P.S. Mike Wu is a Rapid Response Engineer in Microsoft based on New York City. Yang Pan and Gordong Wang reported that some pages on this site were infected by a MHTMLRedir.Exploit virus. It is confirmed. How astonishing it was. I built the page from template. The template itself was stored in database and was free of virus. I rebuilt all the pages and everything is OK now. I have complained to the hosting company because I assume it was infected by other threads on the server. Thanks for your report for me to correct the problem quickly. 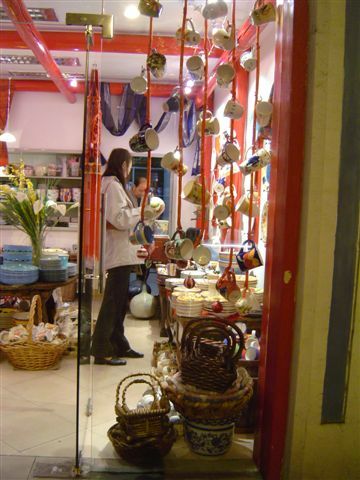 I learnt a small shop space near Xintiandi only cost around 5000 RMB/month to rent. Not a very bad deal. I dreamed to open an Unofficial Shanghai Tourist Center before. I don’t like the so-called Shanghai Official Tourist Center. 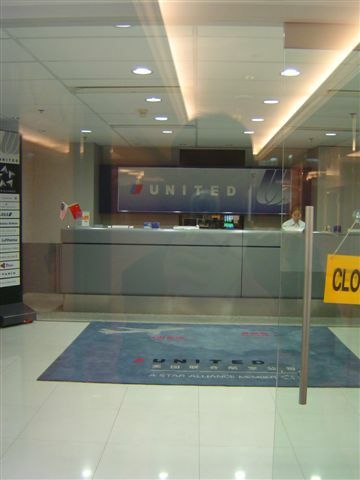 They are not helpful as the worst travel company because they have no incentive to attract more visitors to their centers (they are not a profit center so not many people care). In the “unofficial” tourist center, there will be some free articles (printed from this site and other contributing sources) and some volunteers to offer tour guide (in exchange of foreign language practices with native speakers to Shanghai). It may remain a dream until I decide to retire some day. I am serious because retiring early (than age of 40) was my other dream. 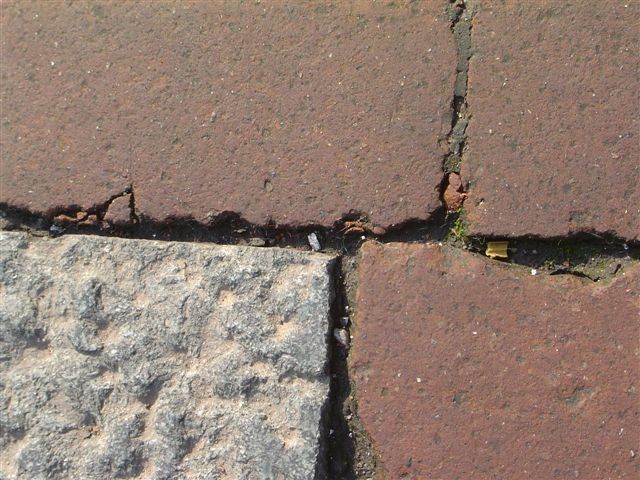 The Freedom Trail in Boston inspired me a lot. For a visitor to a completely new city, nothing is more helpful than a pre-selected trail so he/she can follow to see some good places. The places do not have to be the most famous places or the landmarkers. A trail connecting some nice book stores, or typical local resident houses are also appreciated. I talked about the Shanghai Trail idea (name it Wangjianshuo’s Trail? Haha) with some friends before. It was before I started my Starbucks Trail (Reason). When people suggested me to visit other places than a globally consistant coffee shop, I explained that “It is the trail that connects all the Starbucks that attracted me, instead of the shops.” By connencting the Starbucks, you get a well designed trail showing your the morden aspect of the city – the Starbucks were all selected to the good office buildings. I will draw the trail and you will find how nice the places along the trail is. Just like this trail, there should be more trails with different aspects of Shanghai, isn’t it? I didn’t believe newsletters from large companies will contain any interesting information. I always flow the “Subscribe, Receive, Delete, Receive, Delete, …., Bothered, Unsubscribe” pattern. The Northwest Airlines latest promotion was an exception. I learnt it only take 1,880 (230 USD) for round trip from Guangzhou to SFO, and 2,880 RMB (350 USD) for round tip to New York. I monitor the air ticket price closely for the U.S. Trip. Shanghai is a changing city and an international city. The change on transportation system is among the best. I should say I am very happy about the improvement the transportation administration made for Shanghai. Good examples are: Dynamic Traffic Display Board. However, things are not always as good as planned. There are three innovations that follows the international best practices that I strongly supported turned out to be failure. 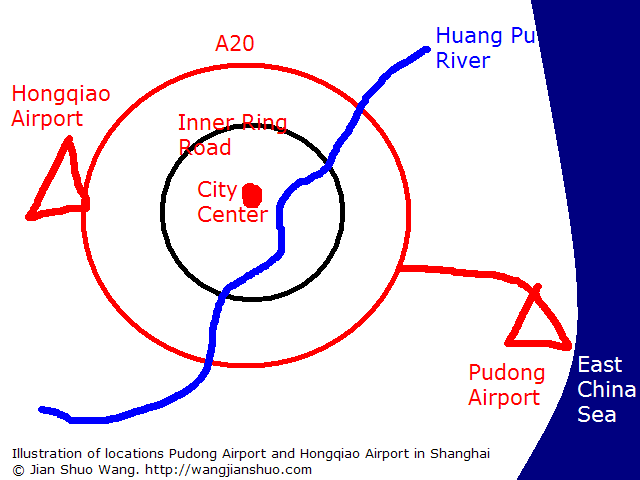 Shanghai’s highway system was named after the starting city and the destination city. For example, the highway from Shanghai to Nanjing is called Hu-Ning Highway 沪宁高速公路; the high way from Shanghai to Ping Wang (near Suzhou) via Qing Pu is called Hu-Qing-Ping Highway 沪青平高速公路. This naming convention brought many trouble for international visitors. To follow the international practices, the transportation administration changed the naming to A+number. 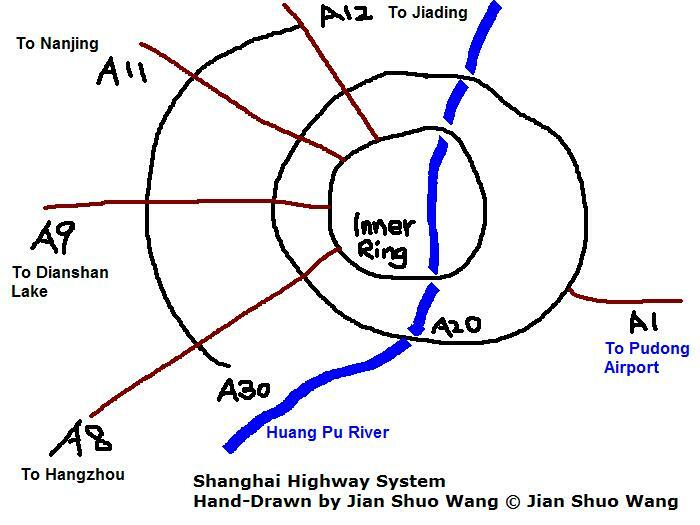 For example: Shanghai-Nanjing Expressway was named A11 and Shanghai to Hangzhou Expressway was named A8. Recently, report said it turned to be a big failure because few people can remember the new names. Does A11 go to Hangzhou or Nanjing? Not very sure and it has caused great confusion. Many car accidents happened for this. Now the authority has added the Chinese name and Pin Yin near the A1, A2,…. A11 signs. At some pedestrian, big blue buttons were added so people can press this button for green light. There are such buttons everywhere in Seattle, but it is not as useful in Shanghai. Sometimes it does not work (refer to Push-for-green-light button section in Traffic Rules in Shanghai). People never use it because in such as a populated city, the button is not necessary at all. It is hard to find a cross-road that lack of passing people. Just assume the button is always pushed. I don’t mean to complain. I was a strong supporter for this button but the fact educated me that something works in the western countries may not work in Shanghai. New taxi stops were constructed across the city. Passengers can press a green button on the equipment and the big display board on the top will show a waving hand and taxi will stop by. It reduces the interference of random call for taxis. Up to now, no one is using the equipment. When I press the button to call for taxis, no taxi stops because the taxi drivers don’t know what the waving and the beeping mean yet. It may take time for everyone to get used to it, but there is hint that this great innovation may take quite some time to be adopted. These are vivid example of what works great in the west may not work in China – just as the economy of China has beaten down many of the expectations of western economist. Boston for Dummies and More. Boston for Dummies is a nice book. I brought it with me these days and really enjoyed reading it. It helped me a lot to plan the Boston trip and also helped Boston to keep two visitors stay in their city one day longer. I only planned to visit Harvard and MIT before. Now, I know much more than that, such as the Freedom Trail and the Big Dig. It inspired me of being a For Dummies series writer. How about I write one book named Shanghai for Dummies? They didn’t have it yet. Emmn. Good idea. Canada China Business Council Shanghai Chapter is preparing its Christmas party and I helped to look for sponsorships. I realized more and more Canadian people came to Shanghai, while the immigration tide to Canadian from China seems to slow down with the high un-employ rate of the new Chinese immigrants in Toronto. Recently, I found some very nice shops in Shanghai. 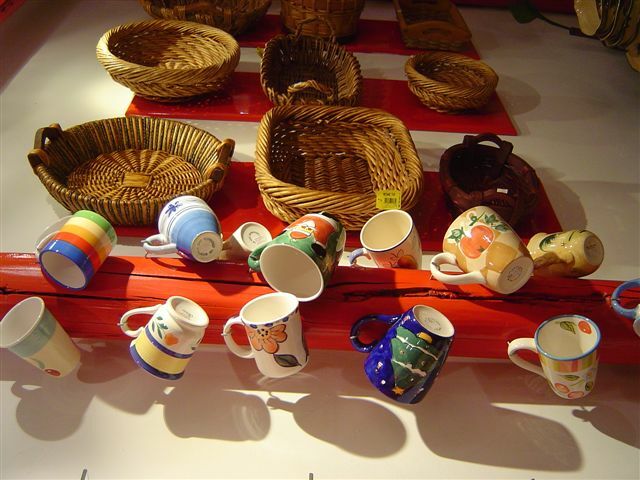 I dropped by a china shop at Panyu road today and went out with a bag full of dishes and cups. 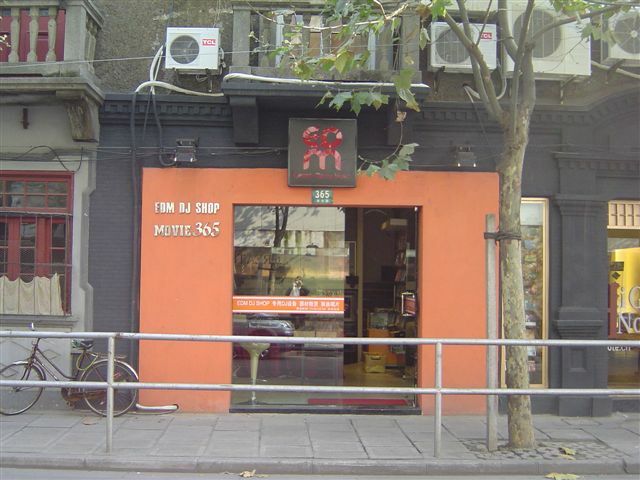 It is located 135(A) Panyu Road, Shanghai. (phone: 021-6283 8766) – For Dummies books taught me to always include a phone number and an address with a shop name. If you are interested, the shop didn’t pay me for that. :-D I don’t accept payment of any kind and ask me to write about something or mention some business on this blog. The owner of this shop is a foreigner. The store keeper mentioned that. 1. They tend to choose some street with many phoenix trees. Such roads are Changle Road, Panyu road, Madang Road (near Xintiandi)… These street are quite but not many customers coming in. 2. Many of the owners don’t really care about the revenue. They just wanted to open a shop and have fun. 3. The shops use vivid colors and have good signs. 4. They have their shop’s business card ready for customers to pickup. 5. They print website or email address on business cards. 6. They spend much money on the packaging bags. When some of the above statements are true, I am pretty sure that the owner is a foreigner. It is the case when I entered this shop – Dining Room. Their goods are nice and I suggest people to pay a visit and bring something back. Tonight, Wendy boiled coffee for me and we enjoyed it very much with the newly bought cups.